There are a few major choices when diving into VR, and two years ago I picked up a Google Cardboard as a teaser. For a while I had the more refined Samsung Gear VR in my Amazon wish list… but it didn’t seem like a deep enough leap into the field, and thus never seriously tempted me. But things have been changing rapidly. 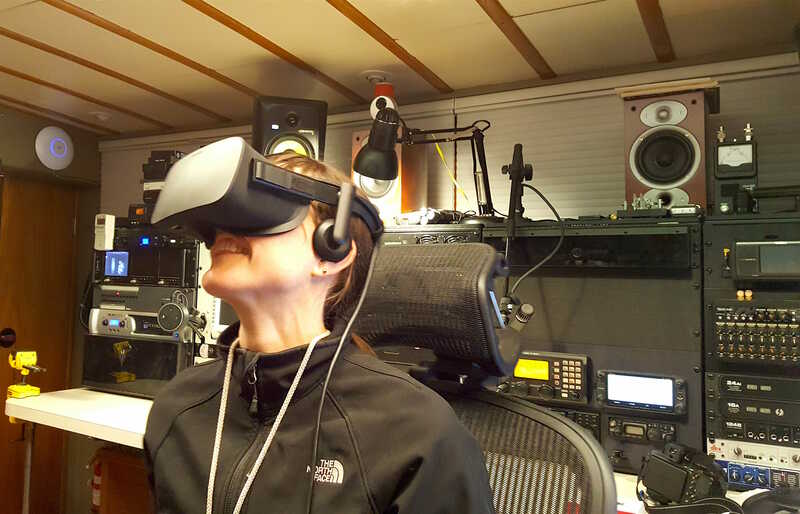 The system aboard now is a shared conferencing space, an immersive environment for driving the Trident ROV, a drawing tool, a viewer for 360 stills and video, and an anatomical reference. OK, and fun. Way back in 1988, I was at a conference in the hills above Silicon Valley, and in the demo room there was an amazing device: the EyePhone, by Jaron Lanier (VPL). 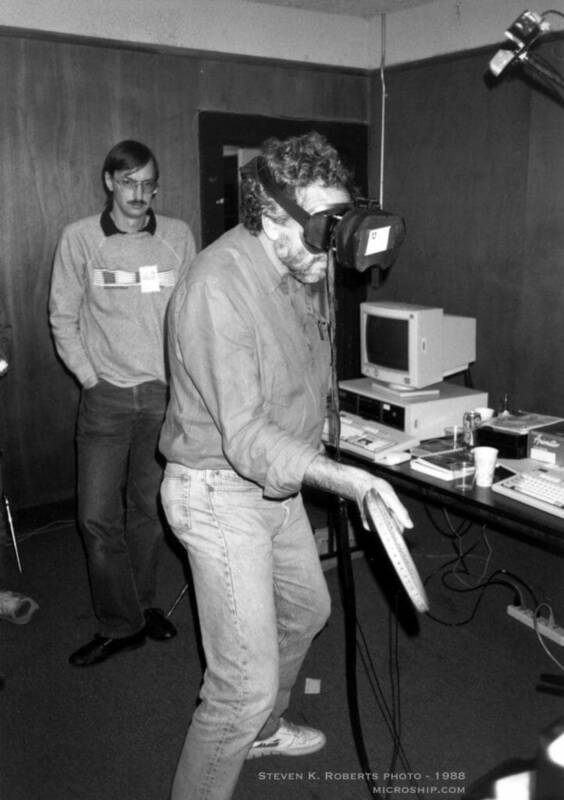 In addition to trying it myself, I was fortunate enough to get a photo of Atari’s Nolan Bushnell playing racquetball, with Larry Wall (who later wrote the Perl language) in the background. The moment stuck with me: smart people playing with something destined to become huge (though farther off in the future than they probably imagined). During the BEHEMOTH years (1989-91) I used a helmet-mounted display, but that was just a floating screen… current VR headsets create a true sense of all-around immersion that feels real. With accurate head position tracking, sharp optics, quality sound, hand controllers precise enough to allow gestures, and fast high-res graphics, this technology is at last at the point where it has attracted the huge gaming industry. 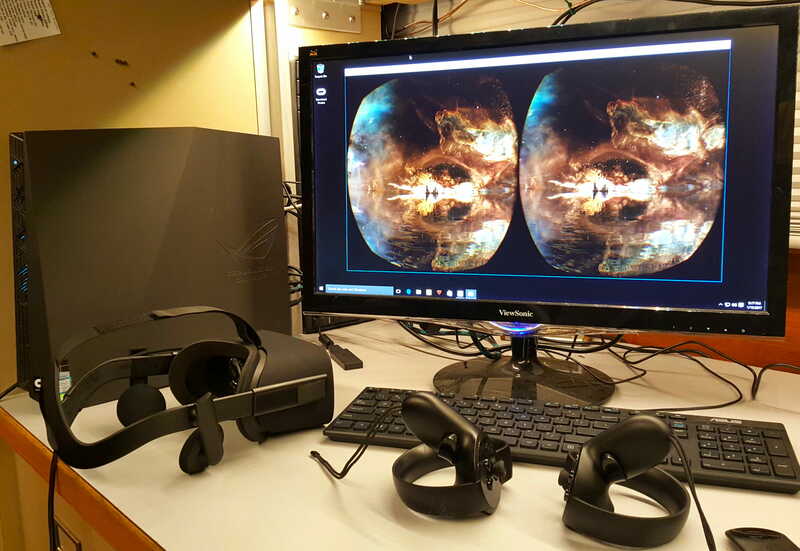 So when I found myself shopping for a suitable PC to support my upcoming movie-scanning project, it was a minor leap to bump up the graphics engine and add VR capability. For various reasons, I decided to go for the Oculus Rift with Touch controllers. My friend Steve (SailBits) and I then went back and forth for weeks, researching a PC suitable for both fun and work needs… ranging from an a-la-carte homebrew box with potential integration issues to liquid-cooled custom solutions that cost over twice as much. 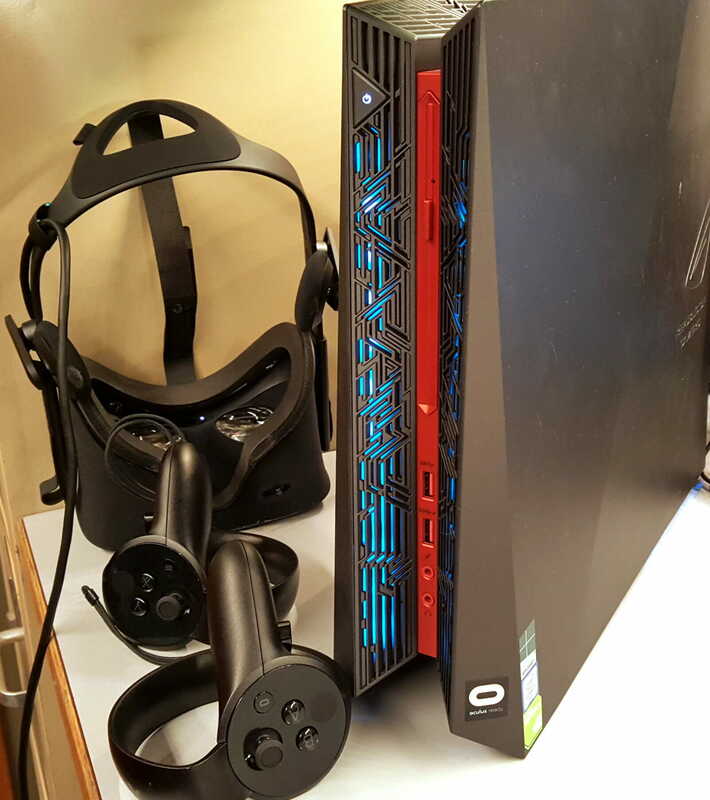 There are a few “Oculus Ready” machines in between, and we chose a suitably configured Asus G20CB… off-the-shelf, small, and QUIET. This version has the OS on a 500GB SSD, along with a 1TB HD for the monstrous image files I’m about to start accumulating. And it’s “Oculus-ready,” so even a non-Windows-literate person like me could get it going without hand-holding. Graphics is the insanely fast GeForce GTX1080, and CPU clock is 4GHz… all of which makes this old-timer’s head spin (my 8008 in 1974 had a 600 kHz clock). I didn’t expect to love a PC, but I am getting attached to this contraption. This all came online in the past few days, and I’m already hooked… diving into the holodeck for recreation, relaxation, education and challenge. At first I worried that it would be too “gamey” for me… I have zero interest in first-person shooters and battle simulations… but I’ve been delighted to see that the range of titles is huge and provocative (including tools that bring the entire PC environment into virtual space, so you can reach outside and control things without having to switch gears). Toybox is an amusing example. With pop-up control panel holographically projected by a virtual wrist tool, you can choose categories of toys… slingshots, guns, boomerangs, foam blocks, puppets, ping-pong, M-80s and Roman candles, radio-controlled tanks, and more… in a room with lots of tempting fragile things, plus tetherballs and other goodies. Sounds very silly, but it works… then gets better with glass balls that you can shatter (with slingshot, or just tossing on floor) to transport the whole playroom into deep ocean or outer space. But all that just sets the stage… it becomes stunning when a friend arrives. 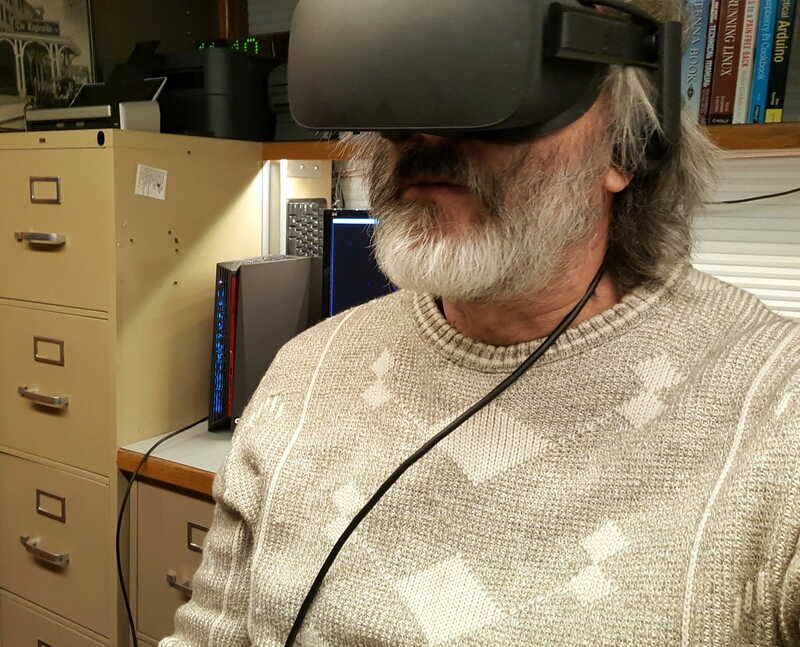 You suddenly see the other person (as an avatar head and precisely tracking hands), hear them clearly, hand things back and forth, and interact with the room full of goodies. It’s insane… social real-time simulation in a funny place that has realistic physics. Less frivolously, I have other tools in the library for more sedate conferencing, sharing movies with distant friends, and so on. A region of interest in 3D Organon VR, with a few vertebrae removed for clarity. 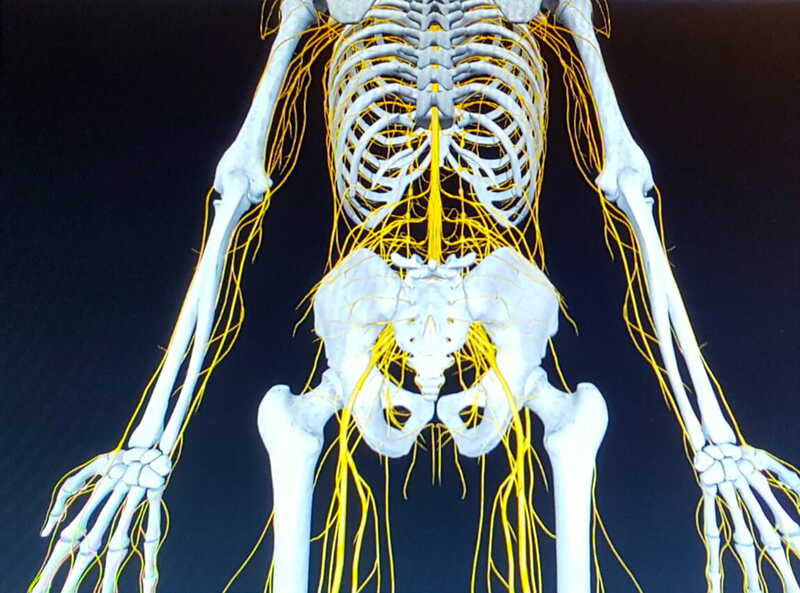 This tool allows diving deep, with over 4000 models, anatomical names, pop-up details, and ability to look inside. Another completely unexpected discovery was the creation environments, Quill and Medium (both free with Oculus Touch). The first lets you create 3D illustrations, and the other is for making things with clay… working in a space that feels real, with tools that spring from your hands and respond precisely to your movements. Objects can be exported and 3D-printed, making the jump from imagination to model to thing without stepping more than a couple of feet away from a desktop in a boat. It’s magic. Rhapsodies aside, this short post isn’t a review of experiences… I’m still a newbie, and there’s an entire culture of VR users discussing the fine points of Rift vs Vive, sensors to expand playspace to room size, hacks to allow installing something not yet released on a platform (Google Earth! 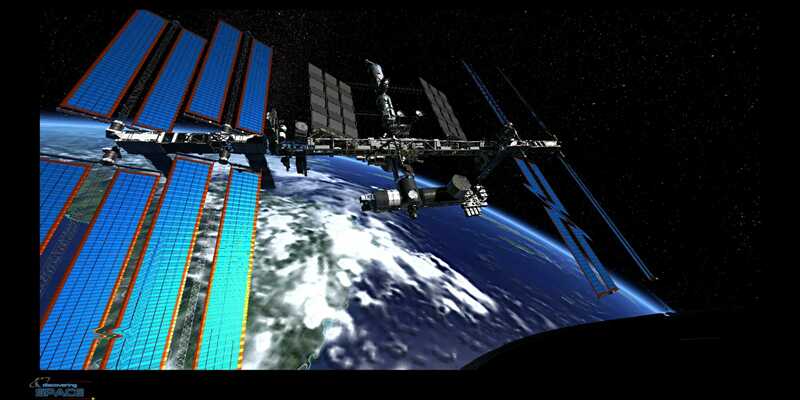 ), and which spaceflight simulators minimize nausea without giving up realistic motion controls. 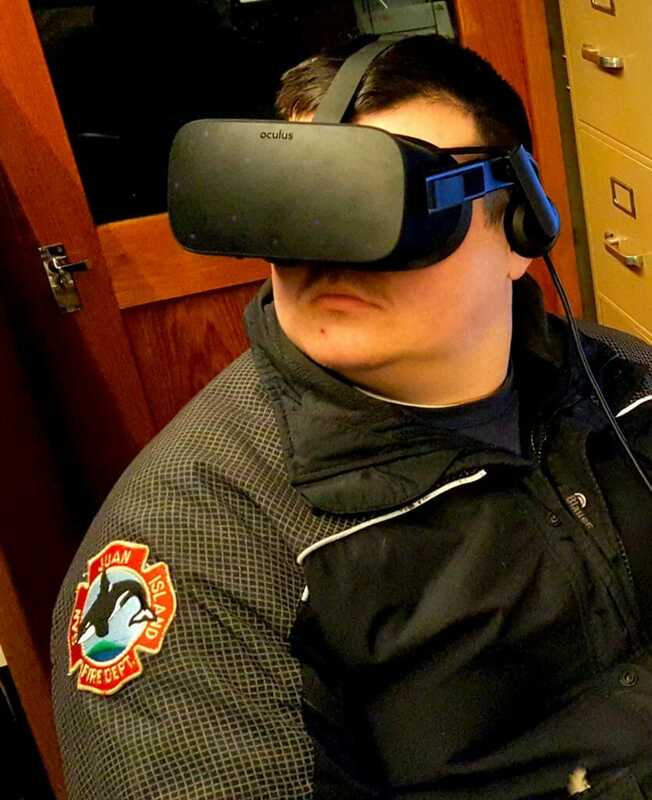 I’m just dipping my toe into virtual waters, but the Oculus Rift has already been a wonderful addition to life aboard. I have a feeling I’ll be getting more visitors, like my friend Nick who dropped by last night to play Ripcoil and take the Senza Peso cruise! The Datawake holodeck is to port, across from the lab console, and will get properly integrated before the ship actually moves. The Asus box will have a fixturing system to keep it in place, and the monitor will deploy on an arm from the shelf overhead, clearing desk space for the movie-scanning system. 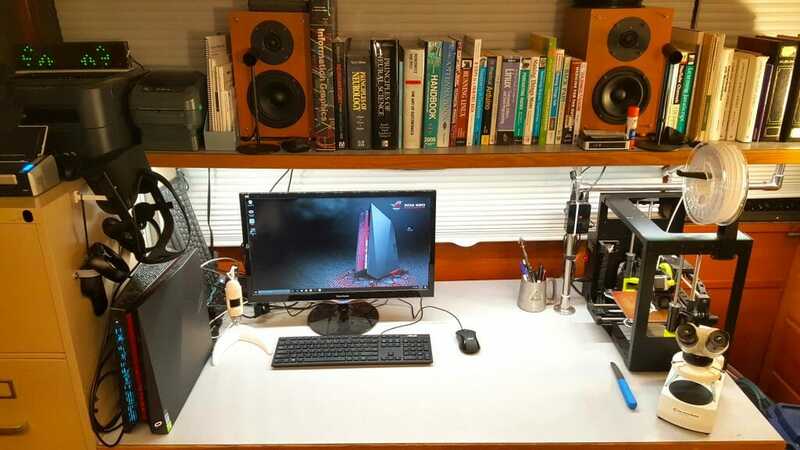 That monitor in the photo is shared by the Intel i3 NUC that owns a USB hub for software-defined radios and other comm tools, and serves as a Raspberry Pi development display. Lighting above the desktop (as well as the whole lab) is Philips Hue Lightstrip Plus, voice-controlled via Alexa or manually via phone and computer apps… but that is a topic for another post. All this has been messy… with headset, Touch controllers, wand, and XBox remote laying on the desk along with PC, monitor, cables, keyboard, mouse, and other stuff. 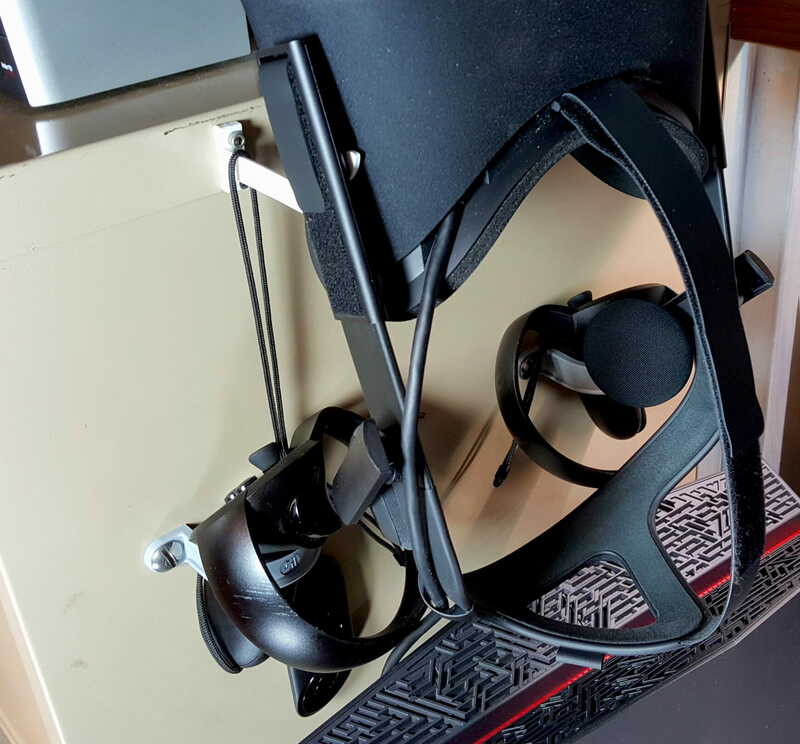 I found a clever Rift hanger design mentioned on the Reddit Oculus group, downloaded it from Thingiverse, doubled the Z-axis thickness, printed a pair for the goggles, and mounted a couple of 1-1/4 plastic tubing straps for the Touch controllers. The little wand hangs from one of the brackets, and the Xbox controller lives between the ScanSnap and the laser printer just above all this. Much better! I got my desk back.